Ohmygod ohmygod ohmygod ohmygod OHMYGOD. 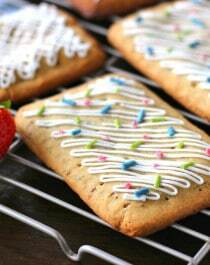 Homemade Pop Tarts. 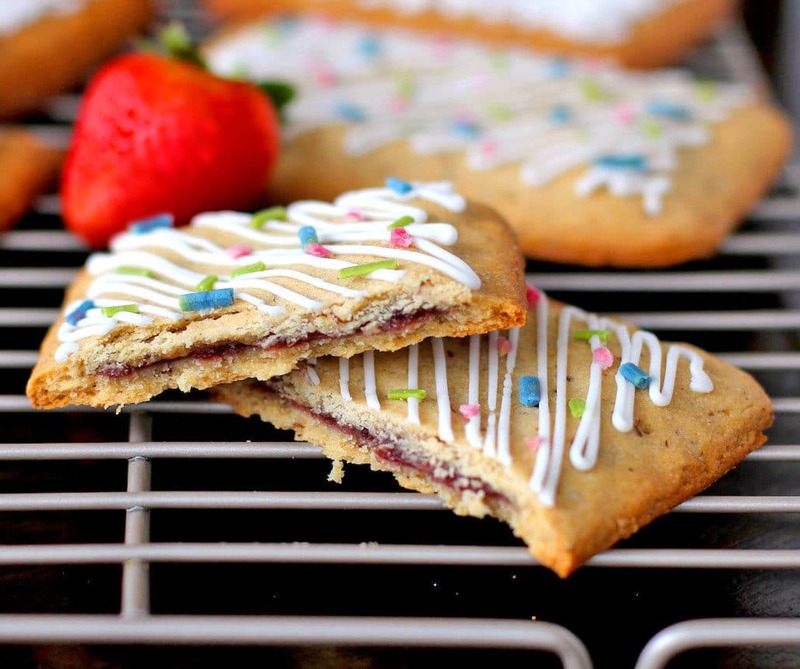 HEALTHY Homemade Pop Tarts! Life is good. All the problems of today just flew out the window. Bills, rising gasoline prices, car payments, schoolwork and the 72 essays you have to write by next week, none of it matters when you sink your teeth into these Healthy Homemade Pop Tarts! Oh, and they didn’t taste very good either. The dough was too salty and too dry. I started over and made a new recipe. I omitted the buckwheat and used more oat flour, reduced the salt, shortening and agave, and incorporated flax to help bind the dough. I absolutely adore this recipe!! But I’ve a question: do you think that subbing agave nectar for xylitol/erithritol would work? These look sooo good, love that you’ve made a really good looking GF crust too ( I attempted pop tarts a while back and they were a fail). Love that ‘goodies; bag too. P.s great work on the new blog design…not sure whether I’ve commented since the redesign. Yes! Yay! 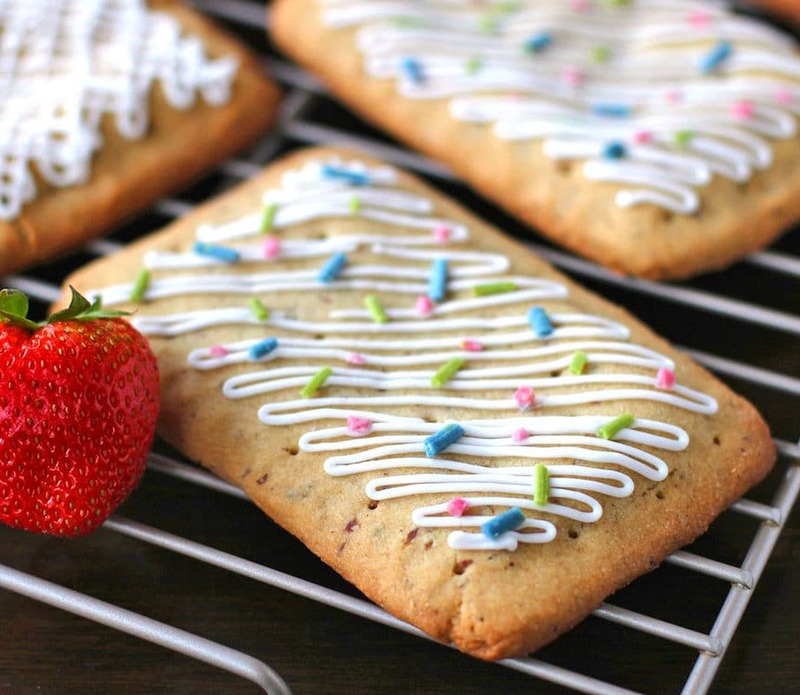 These homemade poptarts look craaazy delish! Ah! These are TOO cute! I have made homemade poptarts too, but I took the easy route and used store-bought crust. Yours are so much better than mine. I got to your blog from the food buzz website and am so glad I found it. I can’t wait to follow your posts! Wow! Is this really possible? Healthy poptarts?! I am so looking forward to trying these 🙂 I might even test them on my dad – the Poptart king. There’s no way I could make ten out of this recipe, if you mean ten of the store bought size. My batch yielded 5 and a tiny one. I will have to double the batch to get ten. A tip… when i put them together it closed better if I wet one side of the crust edge with my finger, just like when you fold a wonton. that helped a lot. I’m going to try to make these again tomorrow and tweak a few things. I forgot to mention….it tastes good! I think once I get the kinks worked out the kids will like them. They are hearty and seems like one “regulation size” would fill you for an on the go snack for sure. Oh, girl! How seriously awesome are these??? I am DEFINITELY making these 🙂 Except, I’m not a big fan of fruit, so I’m going to fill them with Trader Joe’s cookie butter, Biscoff spread, or some kind of cinnamon-strusel-type mix! CAN’T WAIT!!! Oh my gosh, these look great! And I’m laughing the thought of you holding a hand under your mouth while shoveling in the Pop Tart. 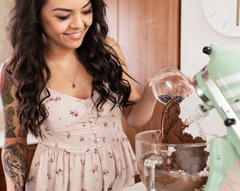 My signature move is eating quickly over the sink–this way I can use both hands to shovel baked goods in my pie hole. Highly recommended! Wow! Saw these on foodgawker and was like I gotta see those! I am definitely trying them out! These look really good! A few questions though- *Can you substitute rice flour with oat flour? *What can I substitute for Agave nectar and erythritol? I only have the stevia packets. *And will coconut milk work instead of almond milk, or regular fat free milk for that matter? I haven’t tried substituting any of the ingredients in this recipe, but in my personal experience, rice flour doesn’t hold together as well as oat flour. The pop tarts might crumble easily and lack structure. You can substitute the agave with honey or pure maple syrup. And you can substitute the erythritol with any granulated sweetener (evaporated cane juice, sucanat, date sugar, coconut sugar, xylitol, etc). Coconut milk should work to replace the almond milk. I hope this helps, I hope you like the Pop Tarts! 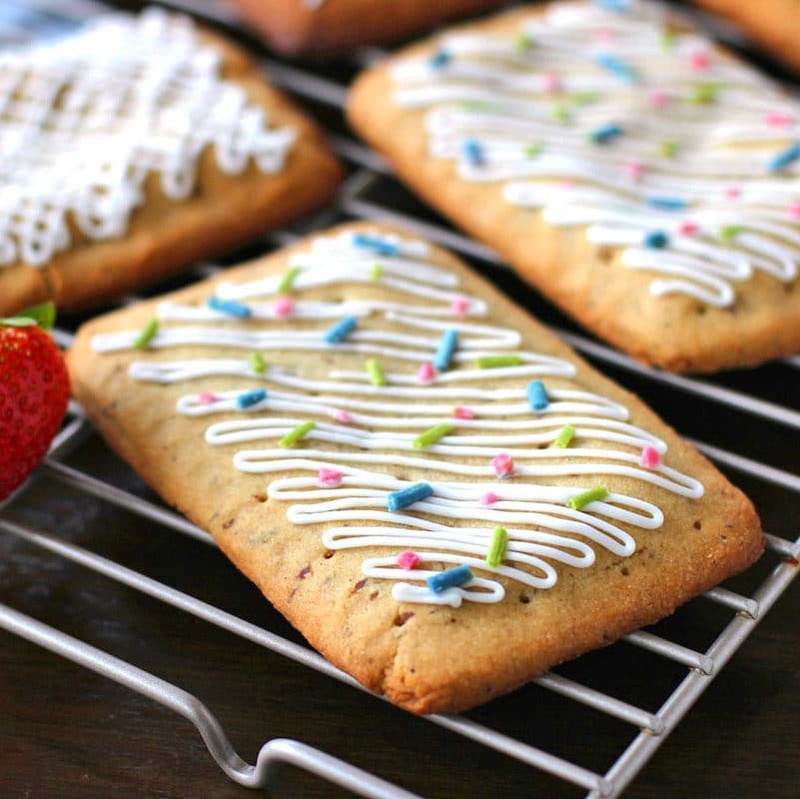 Just made these and Gena was right – only made 5 not 10 Pop Tart sized pop tarts. (I used a Pillsbury one to size my cut outs). Also, I used applesauce instead of the shortening and the dough was really flaky – it held together enough to roll and they’re cooling right now so I don’t know how they will hold up for eating but I’ll try with the shortening next time to see if they hold up better. They smell delicious! Hope my little guy likes them. Hey props for the awesome site and recipes! Made these last week and they were awesome! 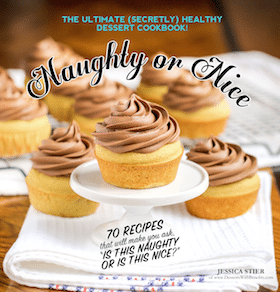 Only question is the nutrition facts – can you share them? I tried generating one with ReciPal. Great looking recipe! My 3 year old doesn’t tolerate flax. Should I leave it out? Or is it an egg sub? Thanks! This recipe looks phenomenal! Thank you for your “hard” work lol getting the ingredients to mesh well. Can I substitute coconut oil instead f using the shortening? Thank you for a terrific recipe! These pop tarts look yummy. I was looking for oat flour recipes when I saw an image of these beauties. I’ve seen many recipes for a homemade version but never gave any of them a second look until now. Trying to transition my family to a gluten free, whole foods lifestyle and I’m pretty sure this recipe will win my 3 boys over. Thank you for sharing. Thanks so much Michelle!! Congrats on transitioning your family to a healthy, whole foods life 🙂 KUDOS! I love your blog and your amazing story! Looking forward to making these. Do you know if they will freeze ok? So this is how people survive diets in this cruel fat filled world… 😀 I love it! I just found your site and I can’t wait to make these! I used to love poptarts years ago. I’m a long time junkfood vegan who’s slowly switching to plantbased vegan over the last year. SO, is this a vegan blog? These look so good! So, i ended up trying to make them….but my dough ended up waaaaay sticky and whenever i rolled it out and tried to get a rectangle up, it was impossible….so i just winged it and made whatever shapes i could and filled them……any idea what happened? Oh no! 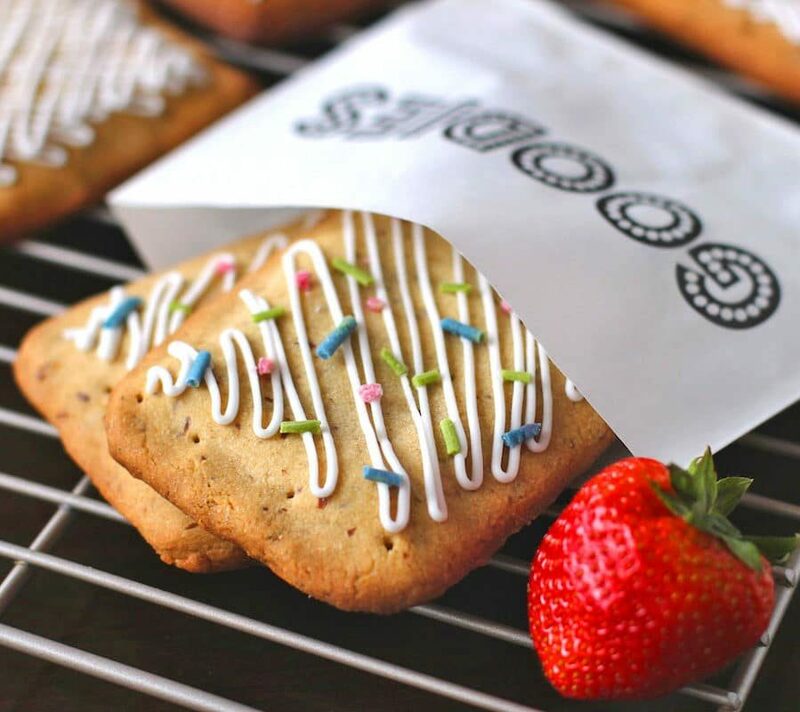 The dough shouldn’t be sticky at all, it should be kind of like a sugar cookie cookie dough… did you make any ingredient substitutes and did you measure all the ingredients using a kitchen scale? I always recommend using a kitchen scale, especially for baking, because oat flour is pretty difficult to measure. It’s kind of like brown sugar, it can pack lightly into a measuring cup and it can pack tightly, which can cause dramatically different results in recipes. Hi Jessica, My son eats healthy, but he loves pop tarts, I wanna ask, can cold coconut oil be used instead of the other fats for the crust? Love all your recipes, Thanks. Hmmm, I’m not sure since I haven’t tried it. I’m afraid coconut oil might make the dough spread out in the oven (the non-hydrogenated shortening has a lower water content). But, if you’re up for some recipe testing (and possibly trial and error), you can give cold coconut oil a shot. Omg Jess! Why are we not neighbours?? You could bring me breakfast. . And dinner. . . And tea!!!! waooo yummy delicious food. my mouth filled with water to see it. many thanks. 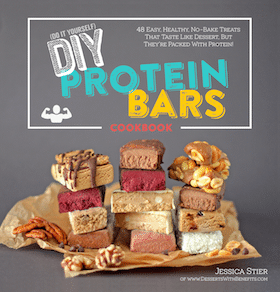 Pingback: No Need to Share your Favorite Pie With These Easy, Guilt-Free Pie Pops! waooo amazing yummmy biscuits. i love this type stuff food.